I usually don't shoot airshows as we don't have many. I was not close enough so solos were not possible. So these people were exiting the aircraft and using color-coded parachutes? Did each jet have two people and the second one jumped? Gorgeous shots Awais. I have never seen anything quite like this. 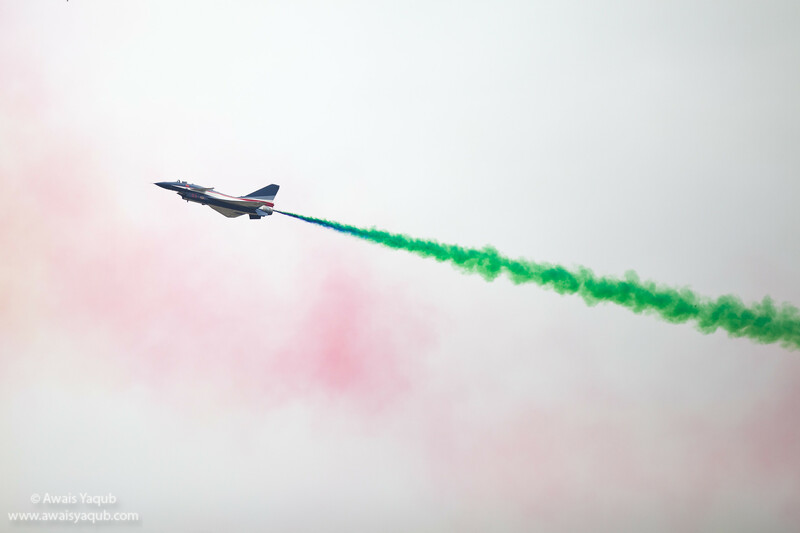 Very colorful - I've never seen jet exhaust colored like this. I like the fine delicate precision in these images. almost like calligraphy in the sky. I checked out your gallery as well....cool shots....the colored trails really make a visual experience. Wonderful photo essay. Really enjoyed the photos and accompanying text. I imagine that it was quite amazing to watch the air show in person. Congrats btw on this conversation being FEATURED on Cake, @Awais !